With floor to ceiling windows and with a view overlooking the River Thames, Echo-Juliet is the perfect room for your private dinner, seating up to 60 guests in dinner set-up. When the sun goes down over Chelsea Harbour and the lights flick on, it really is a view you and your guests won't forget. The space is also ideal for team meetings, conferences, exhibitions and other events. Crowne Plaza London Battersea is located on the South Bank of the River Thames. 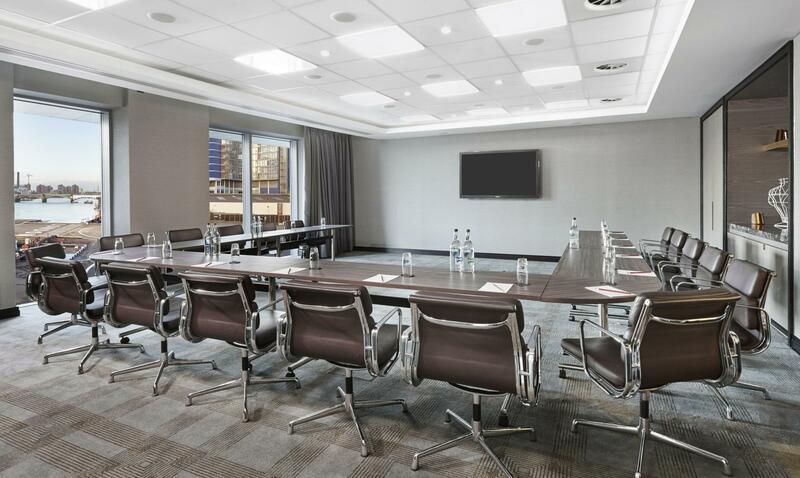 Whether you’re planning a meeting or social event, here at Crowne Plaza London Battersea, we offer a variety of options to best cater for your needs from 2 to 110 delegates. We also have the people in place to make sure your event runs as smoothly as possible. Your Crowne Plaza Meeting Director will be your sole point of contact and will happily take care of every single detail, from start to finish. Crowne Plaza London Battersea is the perfect choice for you and your event.